If you’re a fan of historical novels or history in general, you may have noticed that when the authors talk about desserts, pie, pound cake and fruit cake are generally on the table. Although yeast has been used for leavening for at least 5,000 years, baking soda and baking powder are recent inventions. Baking soda was originally used for cleaning by the Egyptians — who called it natron — around 3,500 B.C. They also used in the process of creating mummies. Natron wasn’t pure sodium bicarbonate, which is what we call baking soda. It was first purified in 1791 and by 1846, sodium carbonate and carbon dioxide were mixed to create the first real baking soda, called saleratus. So prior to this handy little invention, you had only two options to make baked goods rise – yeast, or egg whites beaten stiff and folded gently into the batter. Pound cake and fruit cake, however, were meant to be dense, fine-grained cake and worked just fine without leavening. 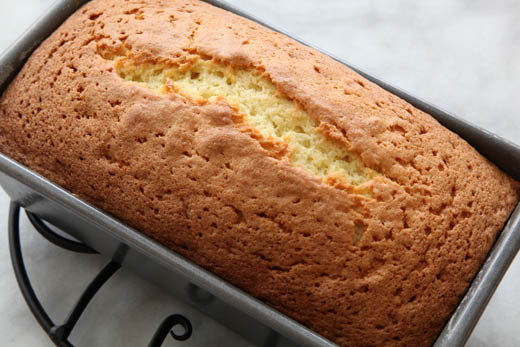 Pound cake is a British invention, and seems to have showed up in the 1700s. In the days when there was no such thing as a standard measure and many cooks were illiterate, a recipe (called a receipt in those days) for a cake that took one pound each of butter, sugar, flour and eggs was easy to remember. It’s a big cake — a full bundt pan or 2 9X4 loaf pans. It freezes well and keeps well at room temperature if well-wrapped. It makes a scrumptious and decadent breakfast when toasted and spread thickly with home-made butter and blackberry jam. Heat oven to 325°F. Grease (really grease, no little dabs) and flour cake pan; set aside. 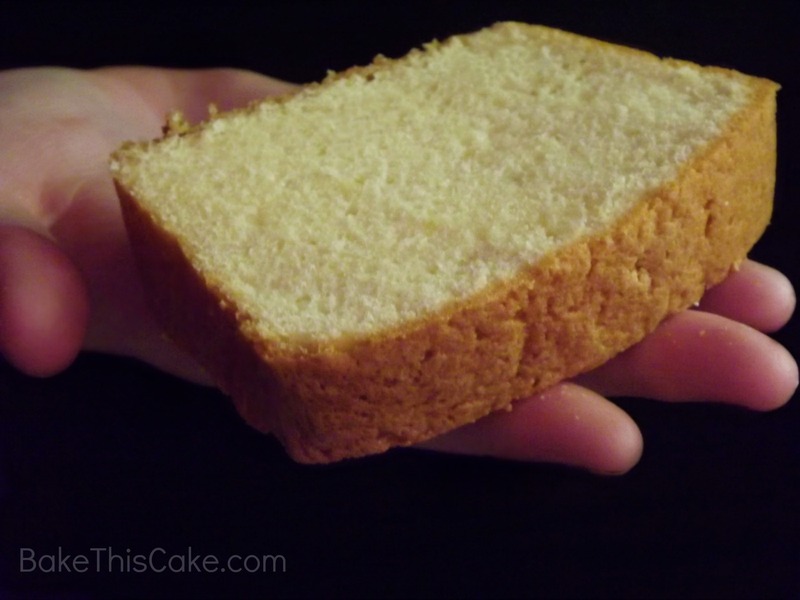 If you’re using loaf pans, line the bottom with parchment paper cut to fit, as it makes it much easier to get the cakes out. Cream butter and sugar until white and fluffy. Add salt, lemon juice and rind if you choose. Add eggs, one at a time, beating well after each addition. Slowly sift in flour, about 1/3 cup at a time. Pour into prepared pans. The bundt pan will take about 90 minutes and the loaf pans about 60 minutes. The crack in the top of the cake is normal. This entry was posted in Food, Recipes and tagged blackberry jam, butter, cake, dessert, fruit cake, pie, pound cake. Bookmark the permalink.